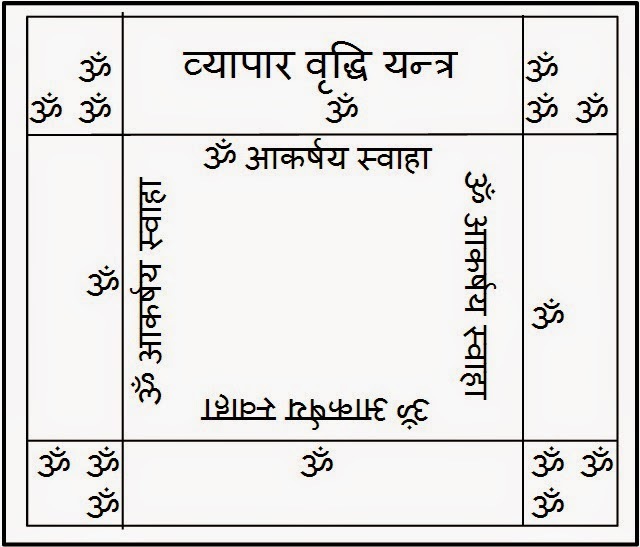 This energized hand made Vyapar Vriddhi Yantra is for all businessmen and professionals who want to do well in their professions. This yantra should be installed in the pooja place and worshiped daily with incense sticks. It starts giving auspicious effects very soon. Ready made Yantra are easily available in the market but most of them are of no use because they are not energized and not made in an auspicious Muhurta. Energized Hand Made Yantras give the most benefit.